At ProCare Chiropractic Clinics, we take great pride in providing the finest chiropractic wellness care to our patients. Below is a sampling of the different chiropractic services we offer in our Green Bay office. MLS Laser Therapy is a medical breakthrough therapeutic device for people with acute and chronic pain. Our laser has an anti-inflammatory and anti-edema effect as it causes vasodilation and activates lymphatic drainage. It has an analgesic effect on nerve cells. 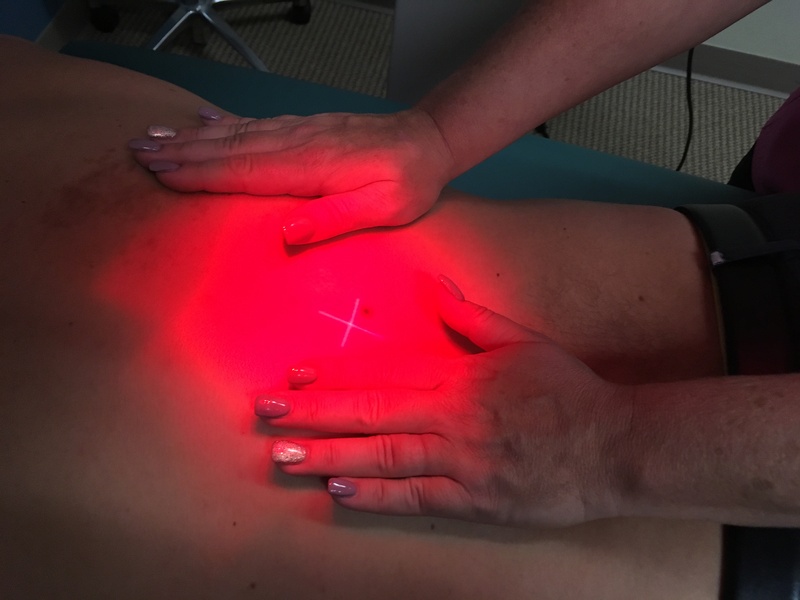 The laser penetrates deeply into tissue to accelerate tissue repair and cellular growth by increasing energy for the cells. It reduces fibrous tissue formation, improves nerve function, speeds up wound healing, and increases metabolic activity. Spinal Decompression is a gentle therapy that is great for people with disc issues and degeneration in the neck or low back. Studies have shown that it may decrease the pressure inside the discs, therefore moving fluid back into the discs. 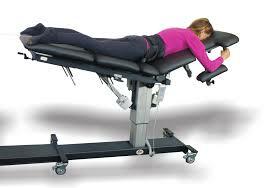 Our decompression table utilizes a pumping action over the course of 8-15 minutes. Please let our office know if you have a history of disc problems and to see if decompression therapy may be right for you. The burning pain, numbness and tingling, and pins and needles of Neuropathy Pain, however severe, is enough to negatively affect your quality of life. It prevents you from going to sleep and wakes you up at night leaving you tired throughout the day. Wearing shoes for long periods of time is no longer possible without the extreme burning pain. Stop suffering. Call today to find out about our Neuropathy Protocol! We are excited to now offer Pulsed Electromagnetic Field Therapy in our office! The machine is a BEMER, which stands for Bio-Electro-Magnetic-Energy-Regulation. This new therapy has been studied with positive outcomes on pain, circulation and healing. We encourage you to search for studies on PubMed website here: https://www.ncbi.nlm.nih.gov/p.... Come find out what this can do for your overall health. We provide spinal correction utilizing gentle chiropractic techniques. Never in the history of chiropractic have we been able to provide the level of help and expertise that now exists. These newer correction methods are even safer, more comfortable and more effective than ever before. As Doctors of Chiropractic, ProCare Doctors have over 60 years of combined training and experience in spinal adjustment. We provide specific recommendations on nutritional supplements and healthy food choices to enhance our patient´s return to optimal health. Do you know which supplements and vitamins are good for you? Do you know how these supplements and vitamins interact with one another? Our ProCare Doctors can provide a structured nutritional program based on your individual needs.